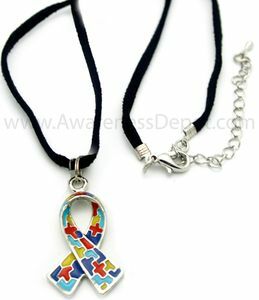 Autism Rope necklace features our colorful autism puzzle ribbon charm on a black leather rope necklace with claw clasp. Great for either men or women. Features safety claw clasp closure.